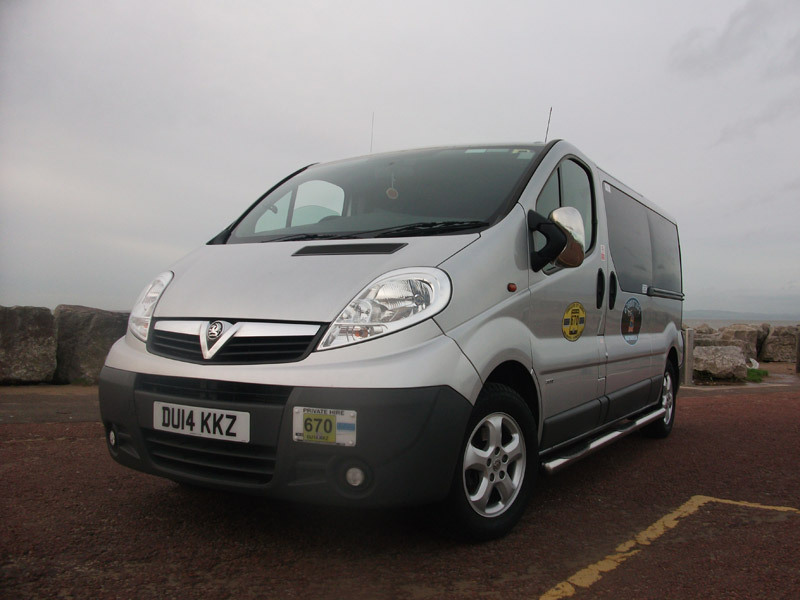 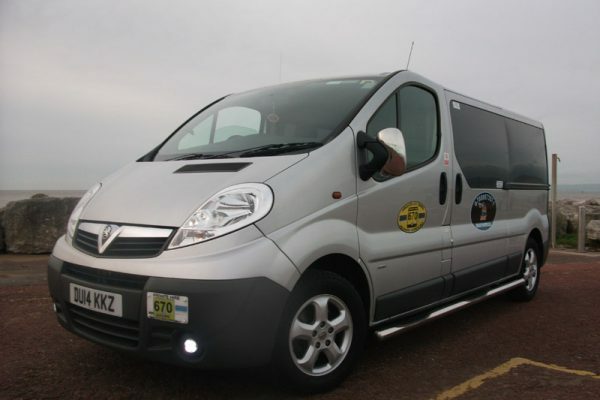 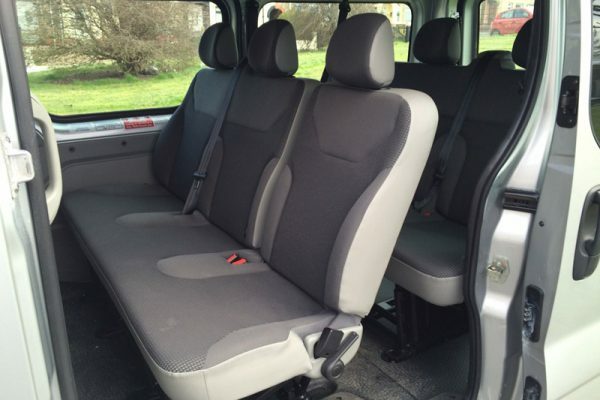 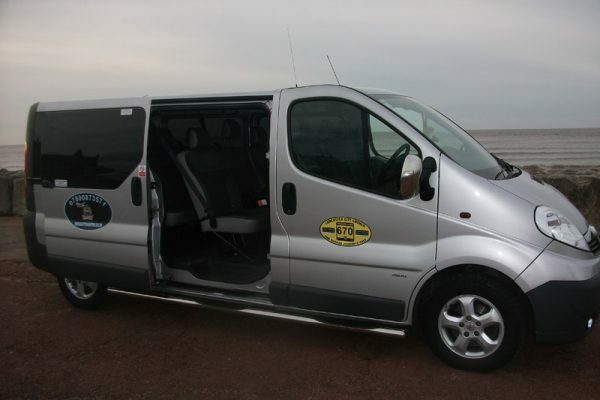 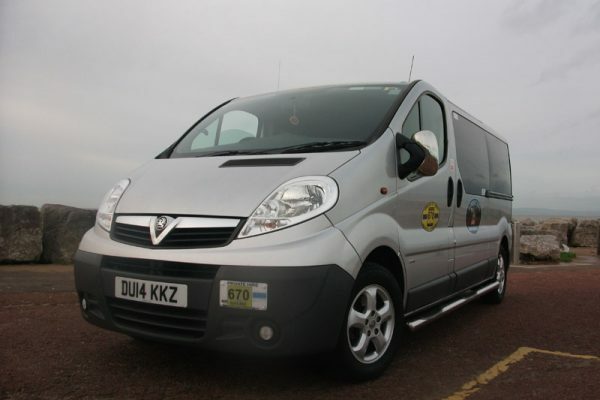 The fantastic looking and brilliantly comfortable Vauxhall Vivaro was added to the Bay Transfers fleet March 2015. 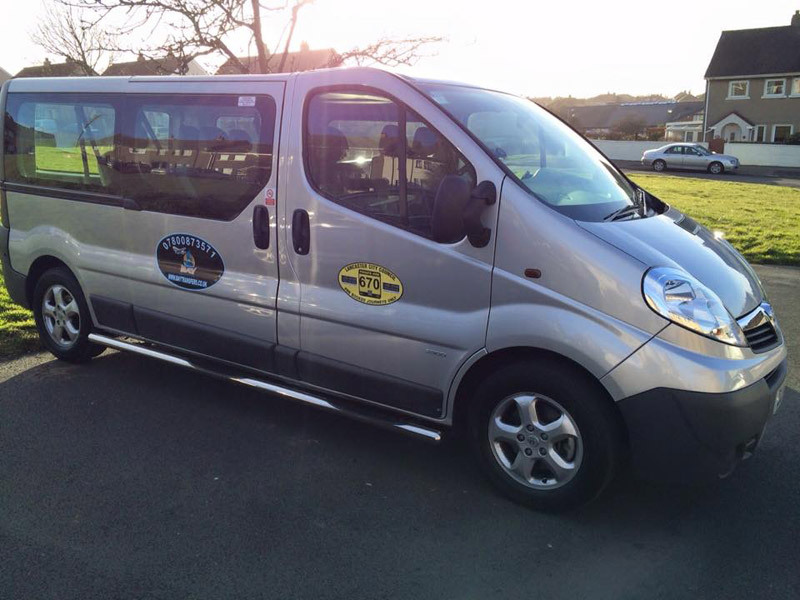 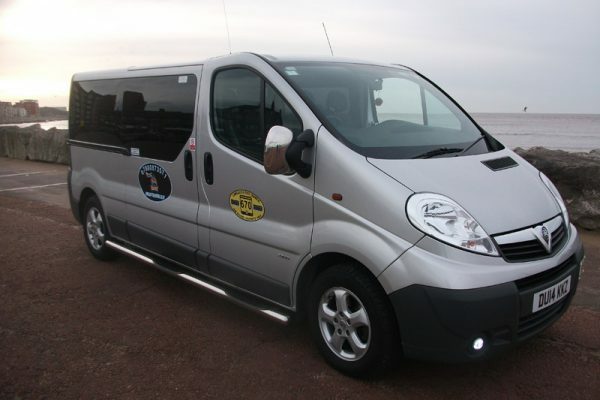 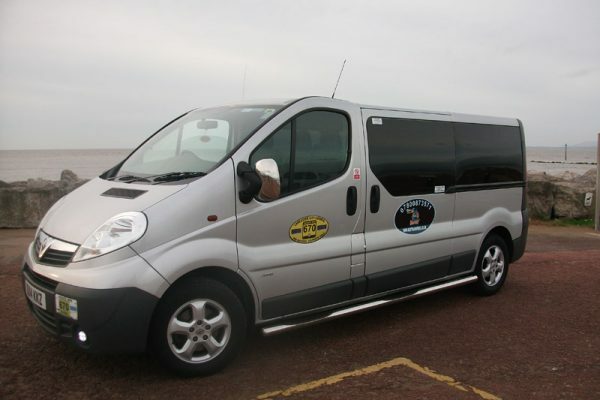 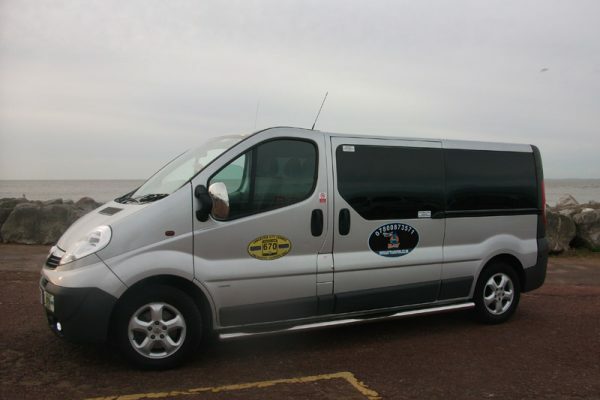 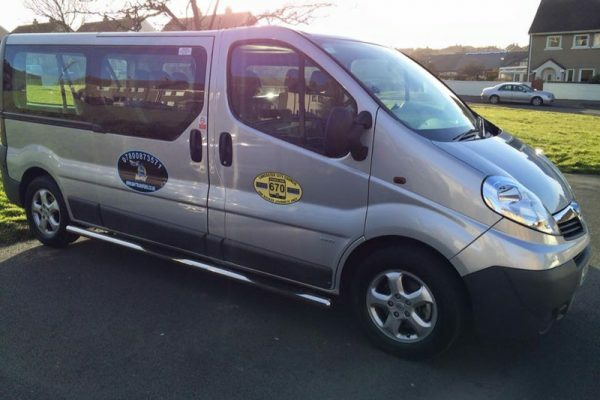 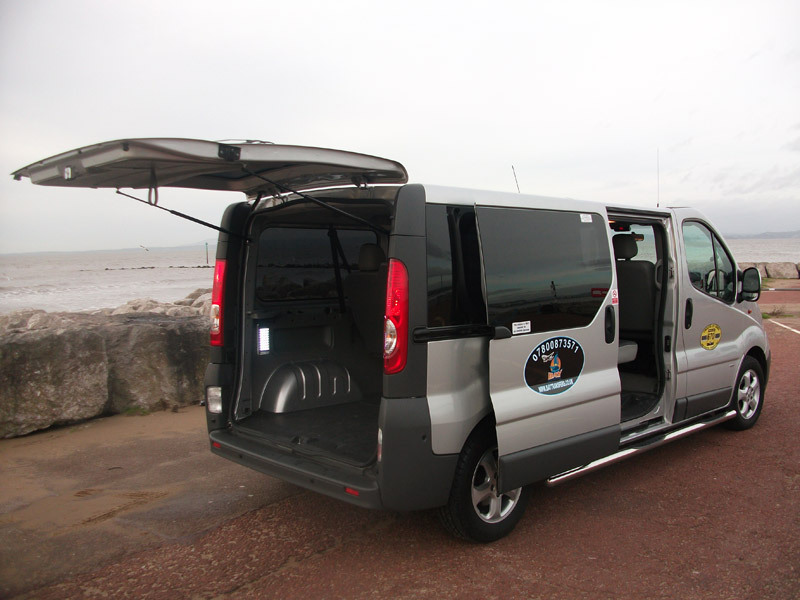 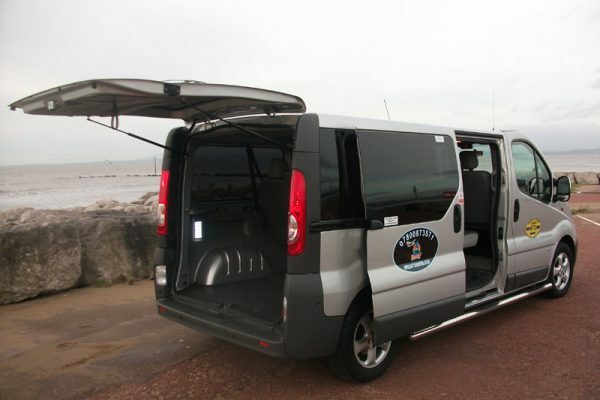 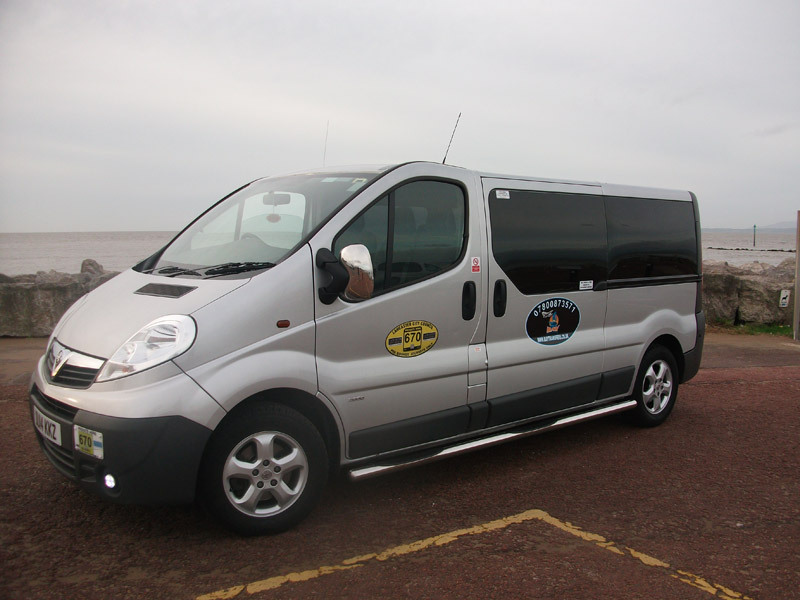 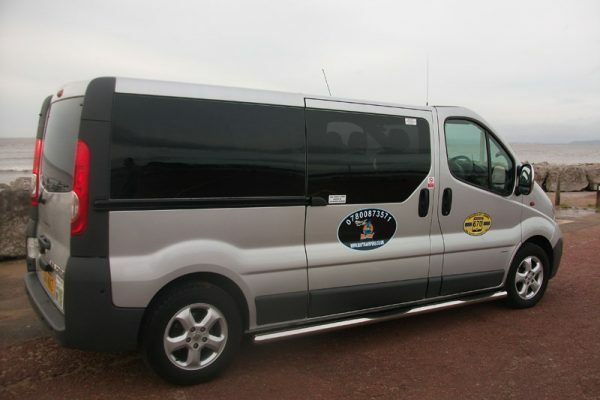 Offering an 8-seat solution for customers, combined with a huge luggage capacity it’s already proving highly popular with group bookings and for larger family airport transfers. 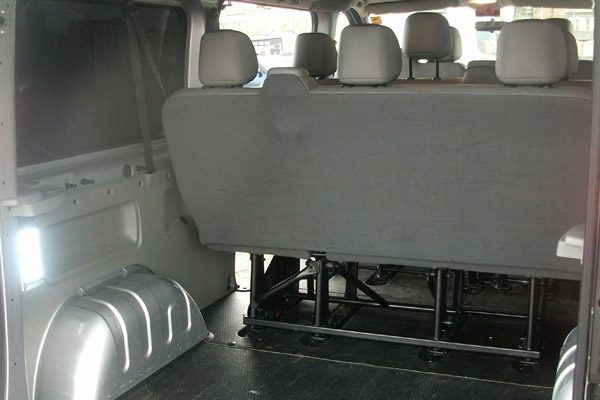 It’s also perfect for golf trips, Ski trips and wheelchairs along with other aids etc. 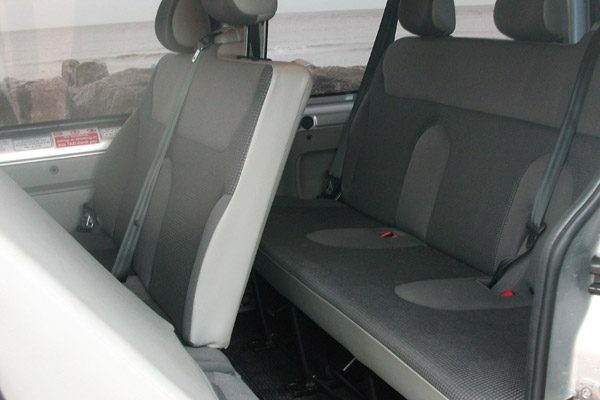 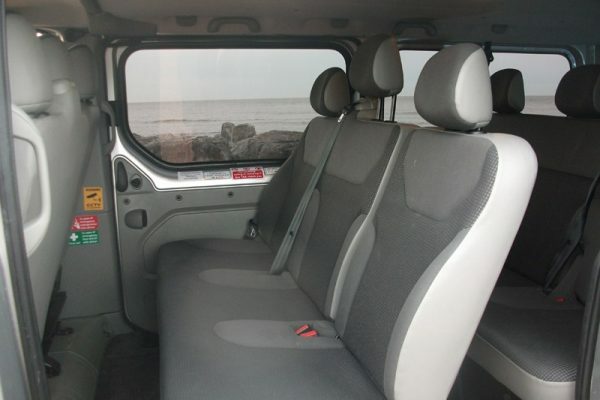 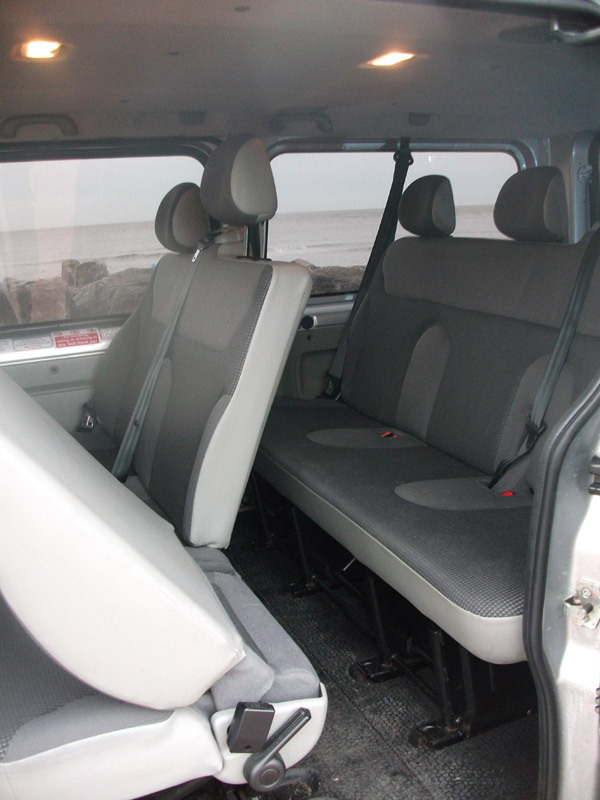 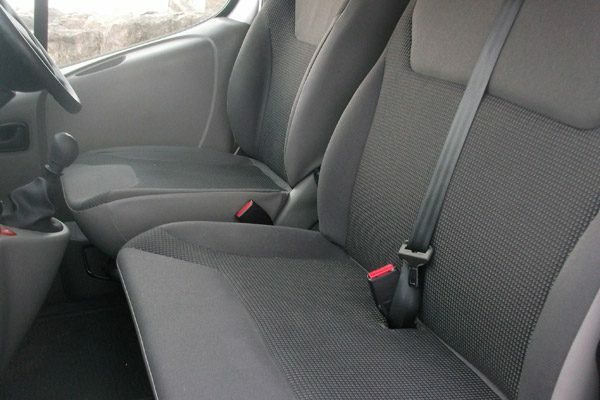 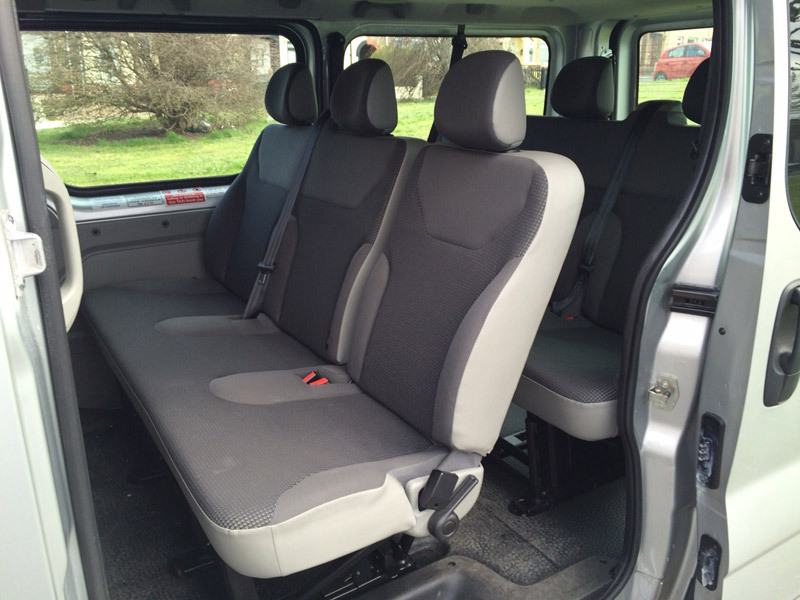 The 8 comfortable seats are all fitted with factory fitted 3-point seat belts and all in the forward facing position. 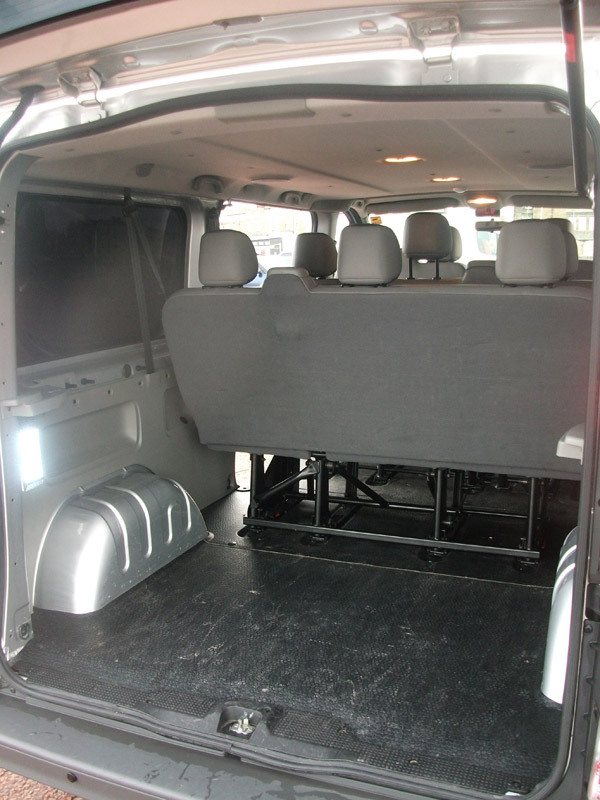 For your convenience we have had LED lighting fitted in the rear boot area to ensure you can see and collect your entire luggage and all your belongings when you get to your destination. 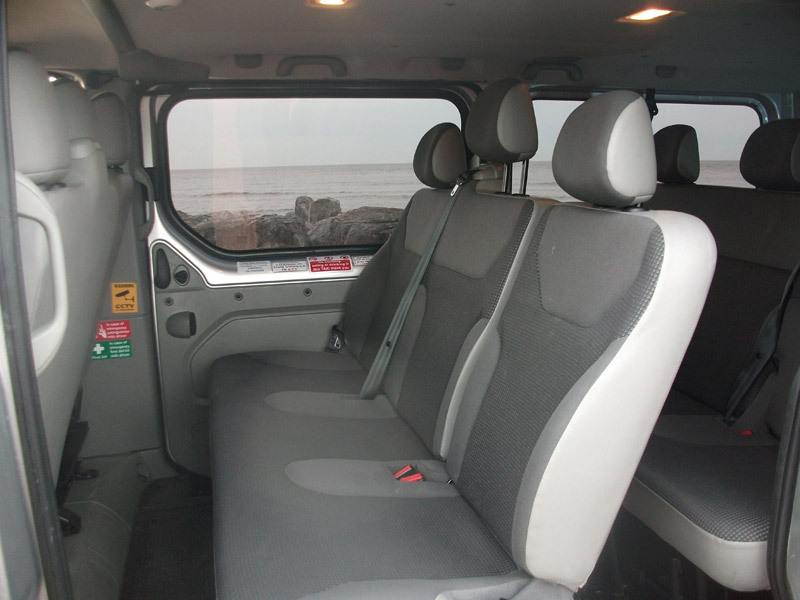 Child seats and booster seats can be provided for both outward and inbound journeys upon request and at no additional charge. 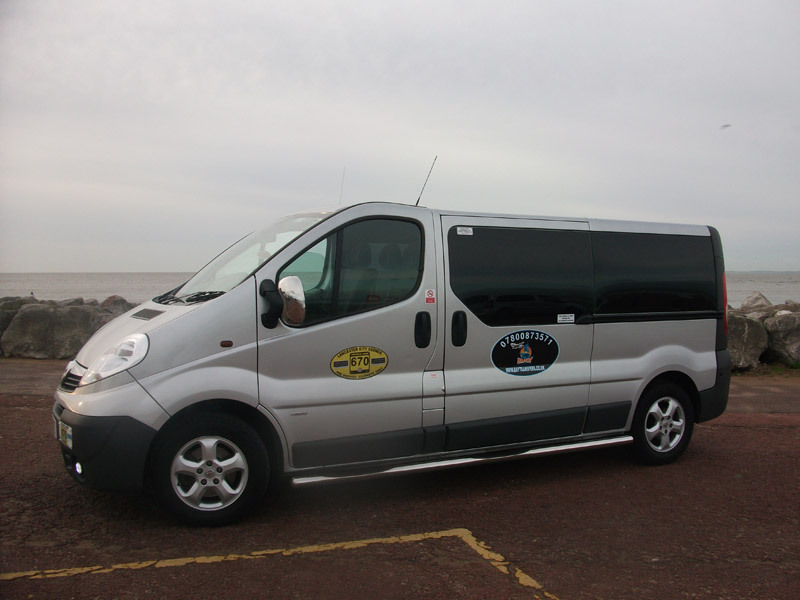 The bus has air-conditioning and tinted rear windows for your comfort in the summer months when its meant to be hotter, which makes it’s a much more comfortable and enjoyable journey. 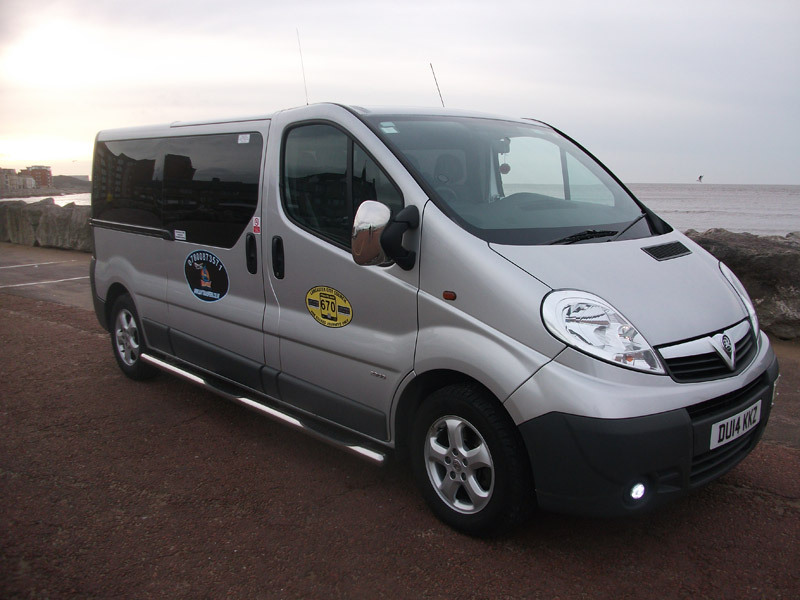 Boasting a high-end stereo CD player with built in MP3 capacity and rear speakers, your journey will be completed before you know it. 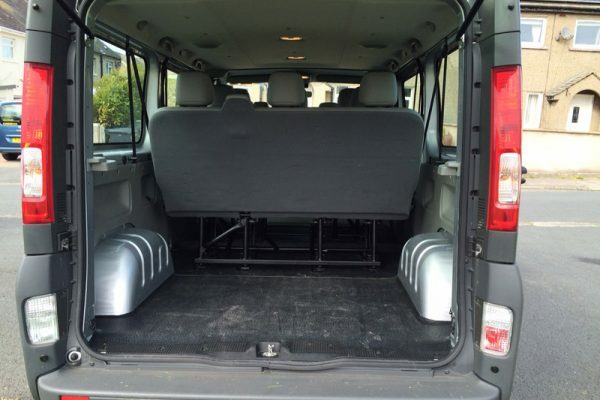 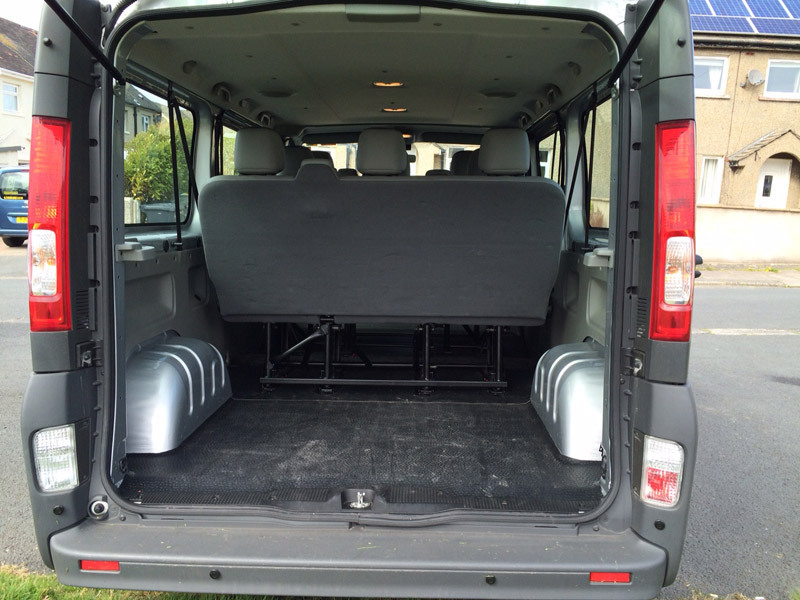 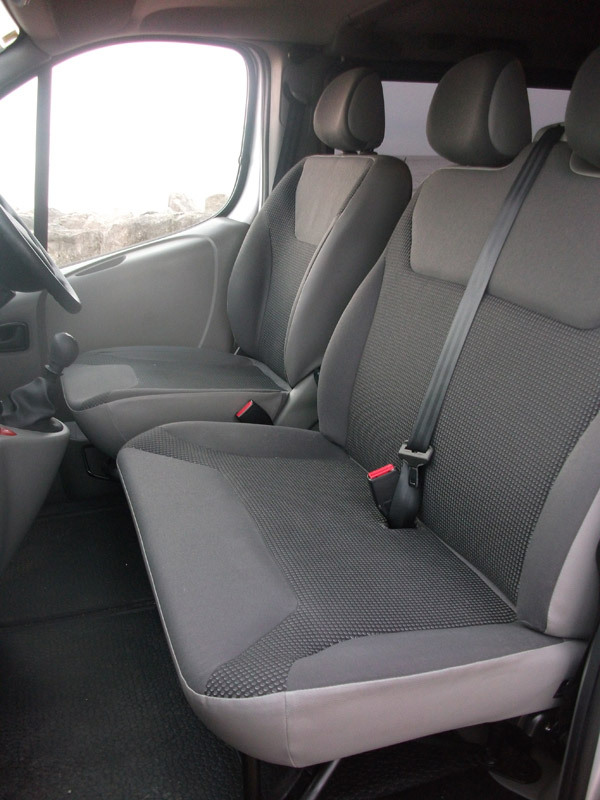 The Vivaro has access steps and grab handles to help you get in and out of the vehicle safely. 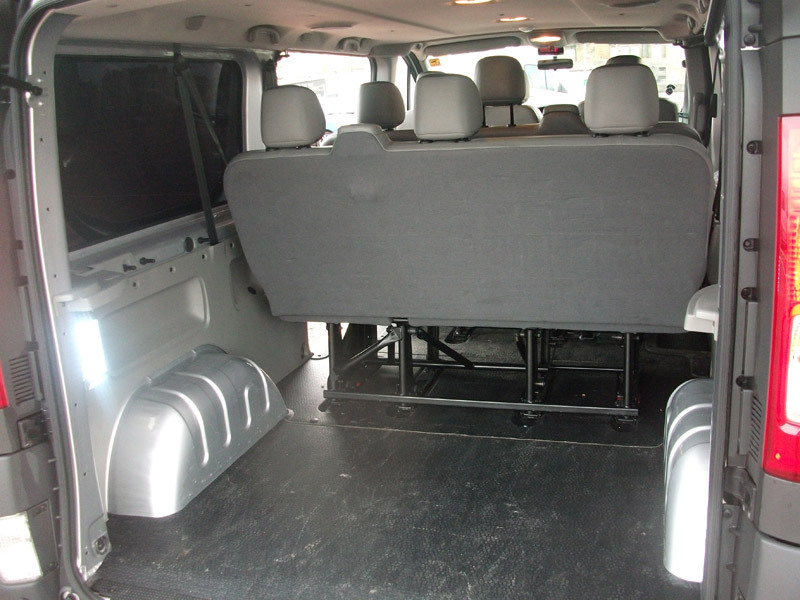 However, your driver will always assist where help maybe needed or requested. 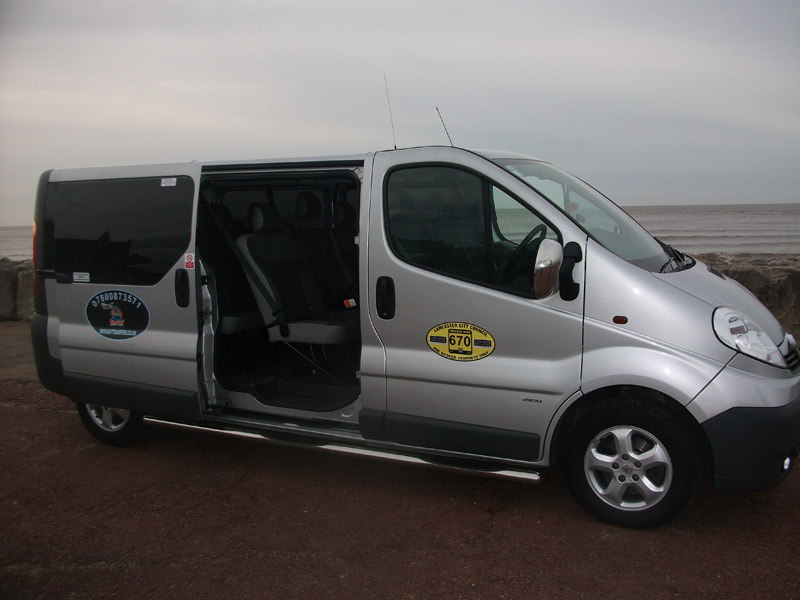 If you do have any special requirements, then please remember to mention this to us at the point of booking. 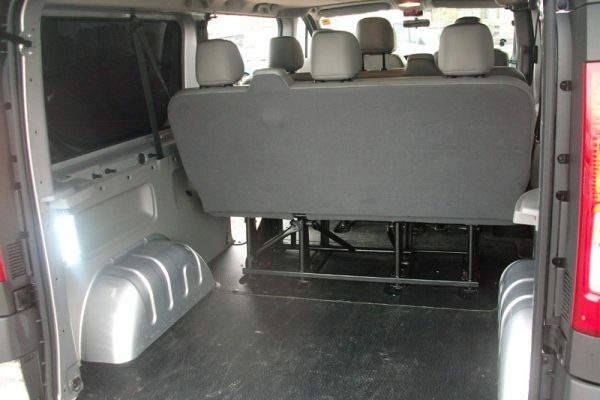 This will allow us to make sure you get the very best of service. 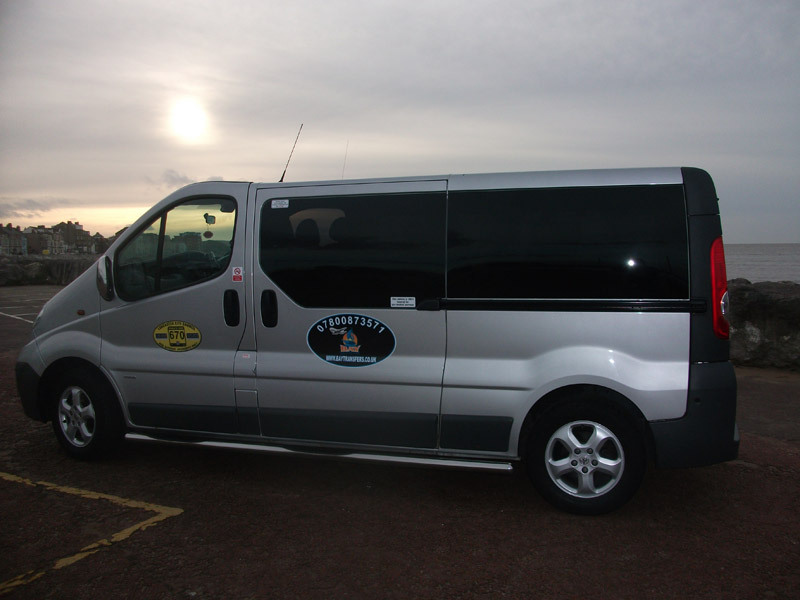 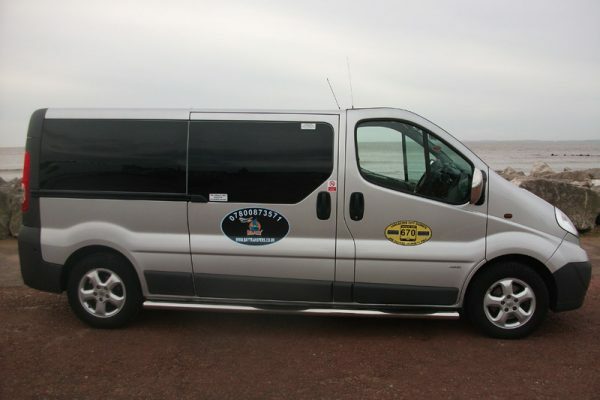 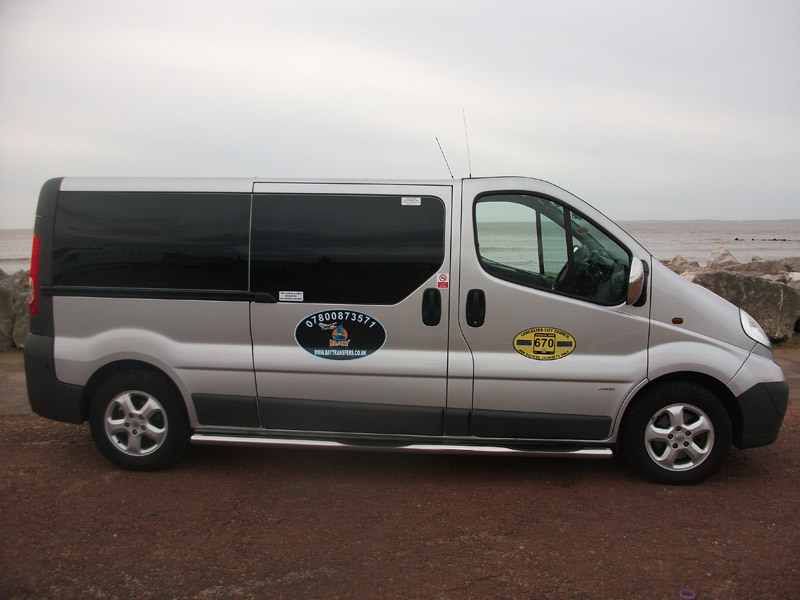 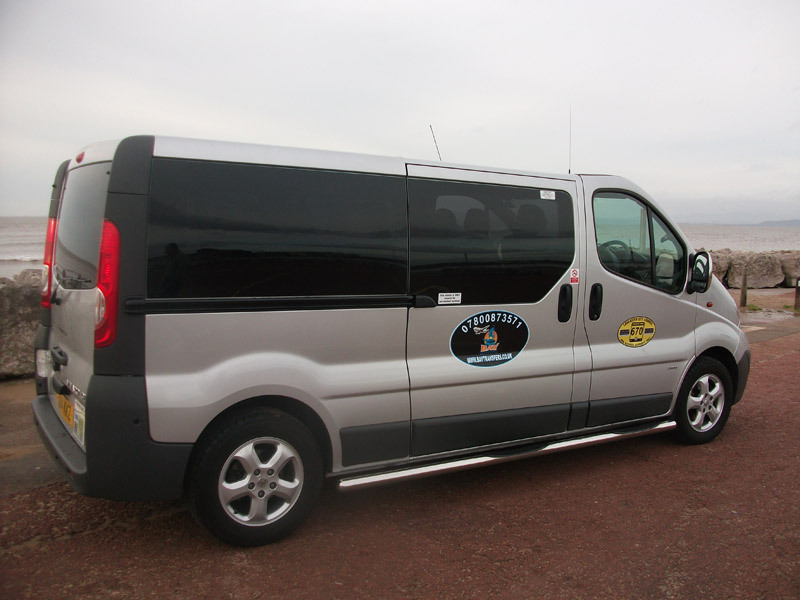 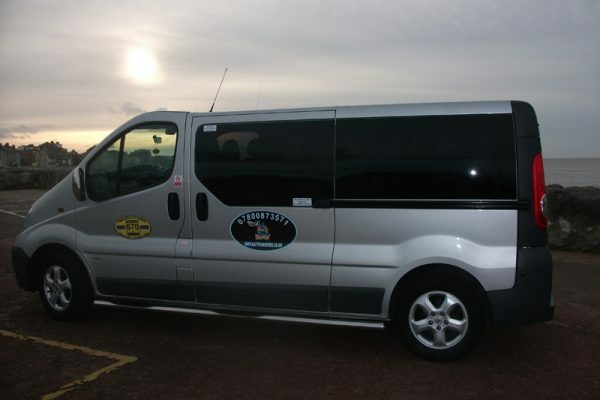 To book the mini bus please call us or drop us a line using the contact page found here.